You are here: Home / News / News / Advocacy / Economic Development for Whom? “It is clear to me that in the way we build our environments, our cities, our towns, our transportation, we’re keeping certain people in and we’re keeping certain people out. We’re giving certain people access to mobility—transportation or economic mobility. 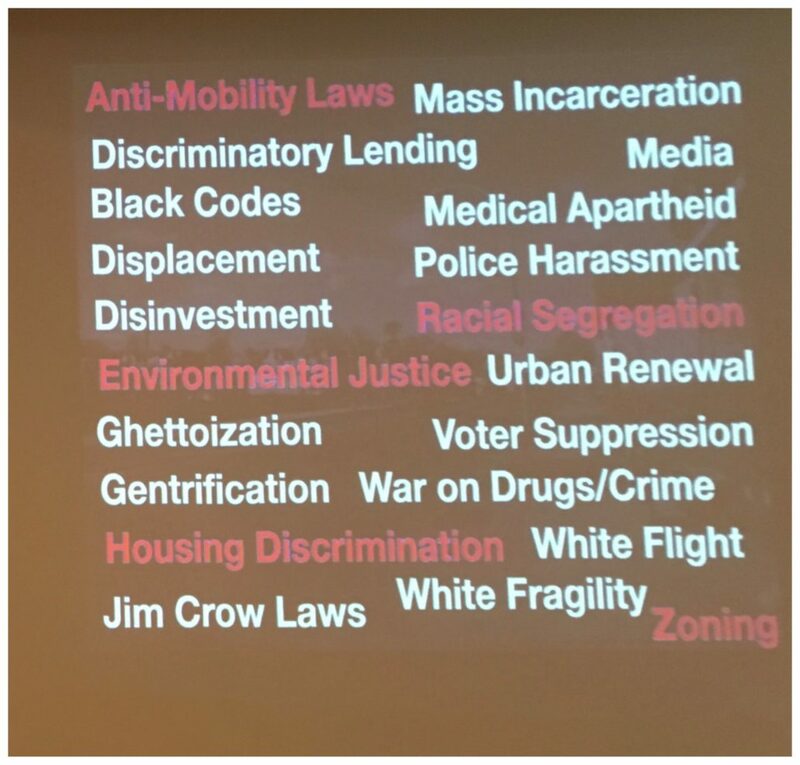 All of this is intentional.” —Tamika Butler, long-time transportation equity leader. “I need a bike to get to Atlanta Highway. 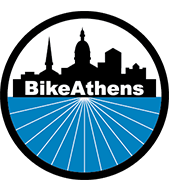 Lot of jobs out there.” —H*** BikeAthens bike recipient and frequent repair customer. He was hit by a van driver on Prince Ave in January 2019 (he’s okay). Tamika Butler’s words remind us that Athens has struggled to create streets that serve everyone. There are not enough safe and comfortable routes to ride to jobs or schools. The bus system is limited in time and scope. There are scores of major streets with no sidewalks. The new Mayor and Commission sitting behind the rail have pledged to support equity. That support needs to include a commitment to complete streets and safer, more comfortable, more dignified access to jobs regardless of a person’s mode of transportation. When it comes to street design, the decisions of past Mayor and Commissions have made it harder for people to access jobs and other critical services. On many streets—Chase, Hawthorne, Newton Bridge, Atlanta Highway, to name a few—there a no bike lanes or paths. These streets have limited sidewalks. Work overnight? You probably cannot take the bus. These job centers and areas of economic opportunity are not easy to navigate by foot or bike. Chase Street has no bike lanes and a non-continuous sidewalks. Newton Bridge Road has a 45 mph speed limit, no sidewalks, no bike lanes, and no shoulder. Our friend Reggie uses a bike for transportation. He was hit by a driver on Newton Bridge road. Based on what his bike looked like after the crash, Reggie was “lucky” to have only broken bones. Despite what the car lobby may say, Hawthorne has no bike lanes between Alps and Prince. Atlanta Highway has no bike lanes, scattered sidewalks, and lots of desire lines worn into the grass. In September 2018, drivers killed two people walking: one crash on Winterville Road (no sidewalk, no shoulder); one on Atlanta Highway. The car-centric design of these job centers forces riders and walkers to face the horns of a dilemma. Street design often requires people to ride in traffic with cars and trucks moving at fatal speeds. The other horn: you can can create separation by illegally riding on the sidewalk (if a sidewalk exists). In other southern cities, enforcement of biking and walking laws overwhelmingly targets and burdens African-Americans. Plus, sidewalk riding has its own dangers. Both choices have sharp points: Risk riding on streets that are designed to exclude people walking and biking or risk riding illegally. As H*** says, “Lot of jobs out there,” but they are hard to access if you do not have a car. Tamika Butler argues that, “We’re giving certain people access to mobility—transportation or economic mobility. All of this is intentional.” The voting record of past Mayor and Commissions suggests she is right. Many of the streets we have mentioned could be more accessible to more people. In most cases, past Mayor and Commissions voted against such designs. Hawthorne has long been identified as an important bike corridor, but the Mayor and Commission voted against reconfiguring Hawthorne between Oglethorpe and Prince Avenue. The Mayor and Commission voted against reconfiguring sections of Newton Bridge Road. The Mayor and Commission voted to remove bike lanes from sections of Chase Street. There has been outspoken criticism of the substitute complete streets plan for Chase from business owners, neighborhoods, and commissioners. Decisions about bike lanes still focus on reducing motor vehicle delay rather than safety for people on bike. It has also been a struggle to improve bus service. After years of service cuts and fee hikes, it took sustained advocacy to win Sunday bus service. In these decisions, we saw decision-makers ignore and overlook people who do not or cannot drive a private car. Was this intentional? As Mayor Girtz noted, Chase Park, Newton Bridge, and Hawthorne are ripe for economic development. But past decisions have made it harder for certain folks to access that economic development. Tamika Butler says “all of this is intentional.” If exclusion was not the plan, how can we be intentional about solutions? Mayor Girtz has pointed a way forward: “A great era of equity approaches.” For transportation equity to arrive, we need to be clear and upfront about history and commit to equity as “redress for historical and current socioeconomic, racial, age- and/or ability-related inequality.” “Communities that need the most, get the most.” This includes safe, comfortable, dignified access to jobs. As the new Mayor and Commission begin to usher in an era of equity—while also growing zones of economic opportunity—the Mayor and Commission need to make our streets more inclusive. They need to vote, intentionally, to create safe, welcoming streets for all. A year-end message from our board president Proud to present our 2018 Annual Report!